GM Canada Sales in 2015 took to new heights! Chevrolet, Buick, Cadillac and GMC dealers in the country delivered a remarkable 236,666 vehicles, an increase of 5.4 percent (10,490 vehicles) over 2014. Similarly, GM retail sales grew 5.7 percent in 2015! Chevrolet Colorado. Meanwhile, the Chevrolet brand as a whole was up 3 percent over 2014. (up 18 percent) and XTS (up 13 percent). It’s clear Canadians are loving the current crop of GM vehicles. 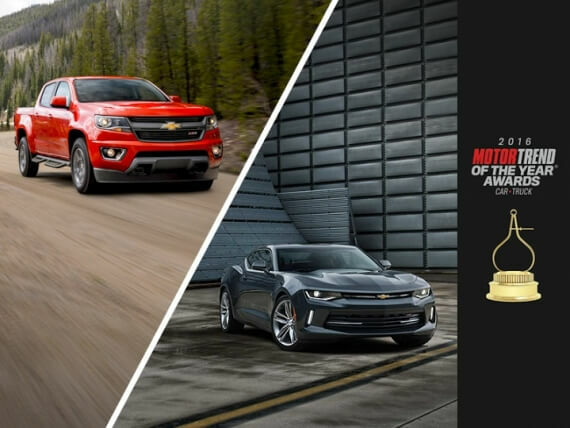 The question is…have you sampled the award-winning lineup of 2016 GM vehicles? Call Wallace Chevrolet @ 1-888-878-2354 to find out more or drop by 801 Main St. E, Milton to see the 2016 GM vehicle lineup in person.